'Everyone interested in human trafficking should read this book. It is truly an encyclopedia of issues related to this subject, which is of such importance to all of us. The book is both readable and well researched, presenting the current situation around the world and suggesting solutions.' - Nancy Hollander, Freedman Boyd Hollander Goldberg Urias & Ward P.A. Chapter 6. Migrant Care Work in Austrian Families – a Win-Win-Situation for Everyone? Chapter 10. 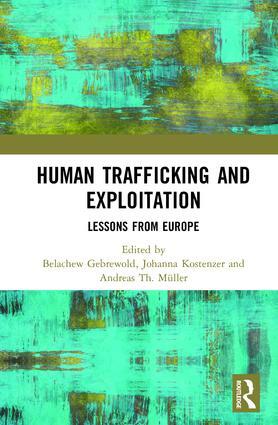 Protecting Populations at Risk of Human Trafficking and Exploitation in Crisis Situations. Case studies of Post-Earthquake Nepal and the Western Balkans in Light of the EU/Mediterranean Migration Crisis. Johanna Kostenzer is Lecturer and Research Assistant at the Department of Nonprofit, Social and Health Care Management at Management Center Innsbruck. Her research focuses on sexual and reproductive health, gender-based violence, bioethics, and decision making in health and social policy.